We offer full installation and support with all our solutions. 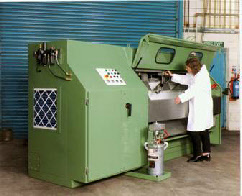 We will assess your requirements then design and install the machine to the specification you provide. Reconditioning or design modifications can be an important cost-savings measure in planning and preparing for new or changing production requirements. Our Aftermarket application engineers can help you evaluate cost and feasibility of rebuilding your existing parts washers. Our technicians can do the work on your floor or at our Bradford facility. Bolt-on or integrated oil removal, chemical proportioning, filtration and water treatment solutions. Contact Ransohoff for further details 01274 668267. We have our own on site product testing facility, so you can try our products free of charge.